iRealHousewives | The 411 On American + International Real Housewives: Kenya Moore Says She And Husband Marc Daly Are Planning A Big Wedding In The Summer Of 2018! Kenya Moore Says She And Husband Marc Daly Are Planning A Big Wedding In The Summer Of 2018! 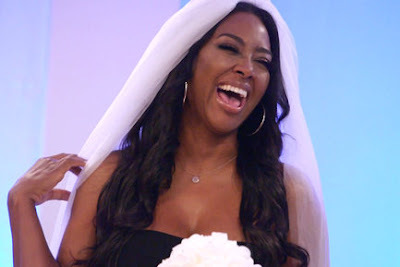 Kenya Moore is taking to her Bravo Blog to dish on last week's episode of The Real Housewives of Atlanta. Kenya Moore shares the big plans she and her husband Marc Daly have for 2018. Bravotv.com: Was Marc a big source of support while you were dealing with your grandmother's passing? I was so grateful to be with him in that moment. It was only two months into our marriage to deal with something so devastating but he was supportive, loving, and kind. Most of all he was there in every way he could be. Bravotv.com: What did you think when Cynthia said she was upset with you for not having met Marc? Cynthia has every right to be upset. I feel badly for her being one of my best friends and for the other people in my life that are so close to me that could not witness my wedding day. Imagine how my own father feels? He didn’t get to walk his first daughter down the aisle I never want to hurt anyone who cares about me. We will be planning a big wedding in the summer of 2018 so all of our closest friends can celebrate with us and Miss Bailey will definitely be Mrs. Daly’s bridesmaid. Bravotv.com: Were you surprised when you saw the photos of Sheree and her new man? Sheree has been so secretive in the past that I knew she was hiding something big. I know how it feels to initially keep something special private because miserable and judgmental people really don’t want to see you happy. She’s in love with a convicted man who is still incarcerated. I’m certain she was afraid of their negative opinions. But clearly, Sheree is in love and no longer concerned about what people think. Good for her! If she’s happy, I’m happy!